The Harley Shirt is a crisp lightweight button down tunic. 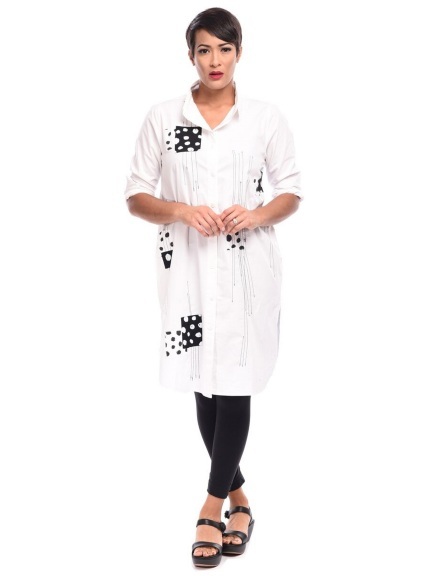 Features doodled dotted patches with decorative machine top stitching, short pointed collar, hidden side pockets, and single buttoned cuffs. Inverted white and black patches give a vibrant playful aesthetic.